ARDC Midgets | ARDC, Side by Side and 3 Wide!ARDC Midgets - ARDC, Side by Side and 3 Wide! The transition from ARDC to USAC Eastern Regional Midgets takes another step with starting in 2018 the ARDC website will no longer offer updates for the series. 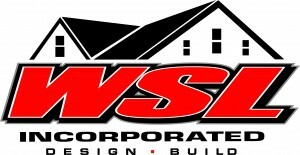 All updates will be done through usacracing.com. For all ARDC updates within the USAC site go under schedule or standings depending on what you want to see, go to “Midgets” then to “ARDC.” We look forward to what the future holds with this closer relationship with USAC. We are working on making it so that this website will no longer exist so that there is no confusion, but while we work on the technical aspects of that this is the best solution. If anyone has any questions or comments please contact us on social media and we will gladly help out best we can. Thank you everyone for your continued support and here’s to an exciting 2018 season! Next racing for the USAC Eastern Regional Midgets presented by ARDC is the Keystone Invasion Midget week with the National USAC Midgets. 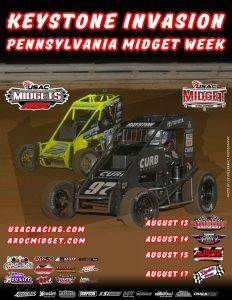 The stars of USAC and ARDC will battle side by side and three wide for four nights in Pennsylvania. The third race is Tuesday August 15th at Lanco’s Clyde Martin Memorial Speedway where last year Tanner Thorson won after going to the rear of the field for a spin early in what is considered by many one of if not the best race in all of Central Pennsylvania of 2016. ARDC has rained out at every scheduled event in 2017 at Linda’s Speedway. This is one of the most anticipated weeks of racing in Central PA this year and if last year and ARDC this year is any indication every race will be a barn burner. 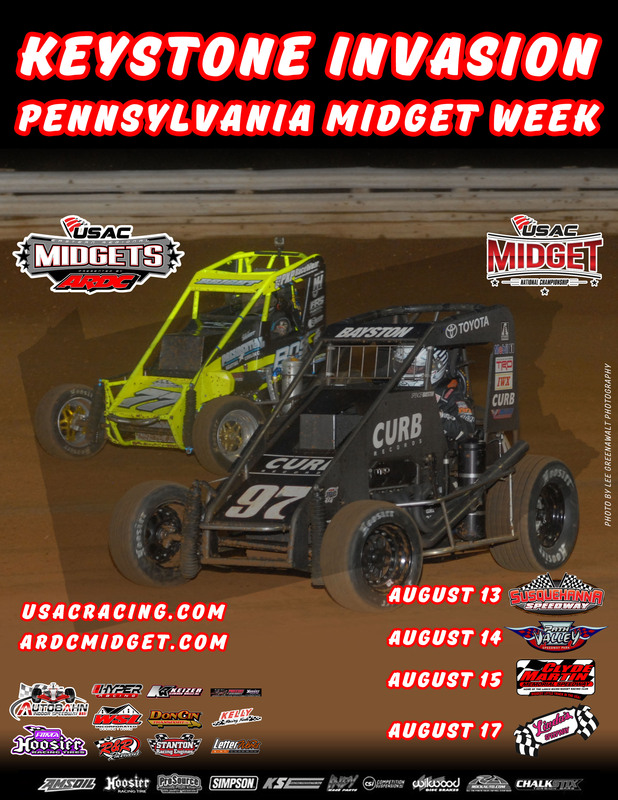 Look forward to seeing everyone help support midget racing in Central PA! Adam Pierson is interviewed after his Susquehanna win. York Haven, PA……..Adam Pierson of Bradford, Vt. picked up his second straight USAC Regional Midget race pesented by ARDC Saturday night at Susquehanna Speedway, leading the final 10 laps to win the 20-lapper over Ryan Greth, Tommy Kunsman Jr., Brett Arndt and P.J. Gargiulo. Arndt led the first 10 laps. Alex Bright was treated and released from a nearby hospital after being struck by a broken drive line. FEATURE LAP LEADERS: Lap 1 10 Arndt, Laps 11-20 Pierson. NEW USAC EASTERN REGIONAL MIDGET POINTS Presented by ARDC: 1-Greth-1,067, 2-Bright-972, 3-Jackson-885, 4-Miller-864, 5-Pierson-813, 6-Kobylarz-674, 7-Heckman-647, 8-Jay Hartman-631, 9-Layser-613, 10-Kunsman-578. 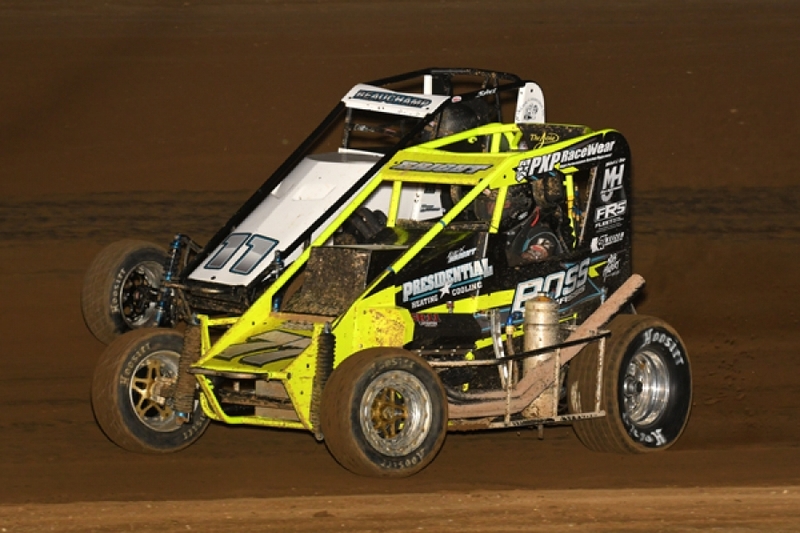 Alex Bright is back on top the USAC Eastern Regional Midget Series presented by ARDC as the series returns to Susquehanna Speedway in York Haven, Pa. this Saturday night, July 29. He’ll try to notch his first 2017 Susquehanna victory after finishing fourth and second in two previous outings. Ryan Greth and Trevor Kobylarz own the two 2017 Susquehanna wins so far. Greth is second in the points, just eight back of Bright, while Kobylarz in seventh in the standings. USAC Speed2 DMA Midget Champion Adam Pierson of Bradford, Vt. led all 20 laps to win last Friday night’s USAC Regional Midget feature presented by ARDC at Big Diamond Speedway in Pottsville, Pa. The win was Pierson’s first in USAC/ARDC action as he beat new point leader Bright, Kobylarz, Shawn Jackson and Greth. 2017 USAC Eastern Midget Series (Presented by ARDC) Standings: 1-Alex Bright-943, 2-Ryan Greth-935, 3-Shawn Jackson-792, 4-Kenny Miller-762, 5-Adam Pierson-676, 6-Jay Hartman-631, 7-Trevor Kobylarz-609, 8-Josh Heckman-548, 9-Andrew Layser-530, 10-Brenden Bright-462. Pottsville, PA……..USAC Speed2 DMA Midget Champion Adam Pierson of Bradford, Vt. led all 20 laps to win Friday night’s USAC Regional Midget feature presented by ARDC at Big Diamond Speedway. The win was Pierson’s first in USAC/ARDC action as he beat new point leader Alex Bright, Trevor Kobylarz, Shawn Jackson and Ryan Greth. FEATURE LAP LEADERS: Lap 1 – 20 Pierson. NEW USAC EASTERN REGIONAL MIDGET POINTS Presented by ARDC: 1- A.Bright-943, 2-Greth-935, 3-Jackson-792, 4-Miller-762, 5-Pierson-676, 6-Hartman-631, 7-Kobylarz-609, 8-Heckman-548, 9-Layser-530, 10-Brenden Bright-462. Newmanstown, PA – Perhaps Alex Bright just enjoys races that fall on the first of the month, or maybe he shines when the track is heavy and super-tacky. Or, quite possibly, he is just that darn good when the USAC Eastern Regional Midgets presented by ARDC compete at Lanco’s Clyde Martin Memorial Speedway. Bright, from Collegeville, Pa., stormed to victory in Saturday night’s Star Spangled Havoc event at the Clyde. 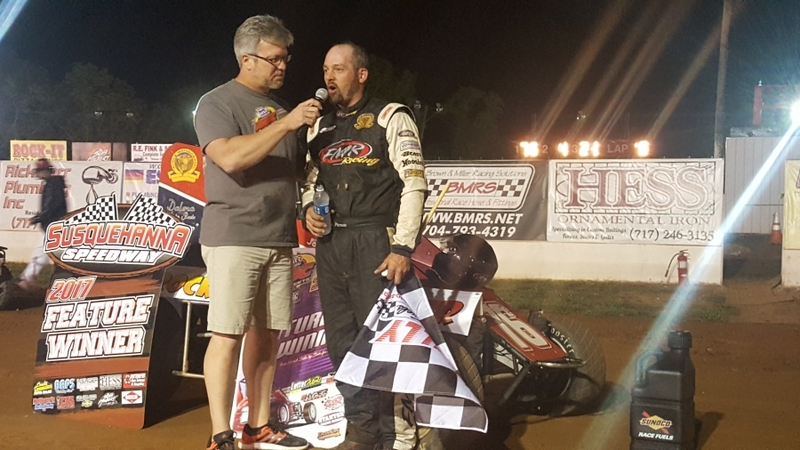 It was his second consecutive triumph in the event that is held annually on the Independence Day holiday weekend, and his fourth straight stand-alone USAC/ARDC win at the Newmanstown oval. With the victory, Bright also becomes this season’s first two-time winner on the USAC/ARDC traveling circuit, adding to his April 1st triumph at Clyde Martin. And, to say that he scored a convincing win on Saturday is a serious understatement, as last year’s point champion lapped up to the fourth place finisher in the 30-lap A-Main. On the initial green, Bright darted from fifth to third as the inside lane opened up on the homestretch. At the same time, Adam Pierson moved from fourth to second as pole sitter Kenny Miller III dashed into the top spot. With one lap in the books, Bright ducked under Pierson in turns one and two. They rubbed wheels and Pierson spun as they exited the corner, bringing out the yellow flag. On the restart, Bright threw a huge slide job on Miller, taking the lead as they blasted off turn two. Greth, who started sixth, was soon in position to challenge Miller for the runner-up spot, and seventh-starting Kyle Spence made it a three-car tussle before the next caution period with seven tours complete. The ensuing restart provided Greth with the opportunity to try and steal the lead from Bright. Greth threw a slider in one and two, only to have Bright cross him over and nearly pull alongside on the backstretch. Greth held him off momentarily, but Bright countered Greth’s slider with one of his own in three and four to reclaim the lead. Greth tried to swing back under Bright on the front chute, but Alex shut the door on him as they entered turn one. Now securely back in front, Bright motored away from Greth and put on a fan pleasing, breath-taking show as he pounded the cushion (and sometimes hopped over it) in rim-riding style at both ends of the speedway. The race went green from lap eight through the 27th circuit when Eric Heydenreich flipped in the fourth turn, causing a red flag situation. The tumble was not too serious and, once his car was put back on all four wheels, Heydenreich was pushed off and rejoined the field. Since he was one of only four cars on the lead lap at the time of his mishap, Heydenreich restarted and eventually finished in fourth place. At the checkered, it was Alex Bright winning by more than three-seconds over Greth. “He’s just awesome here, ” said Greth afterward as he pointed towards the winner. “We had that one shot at him, but we’ll take second tonight and count it as a good points night. 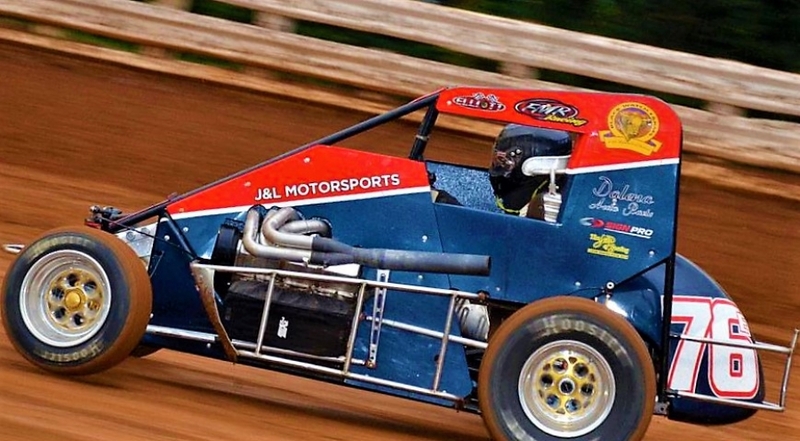 I am taking these races one at a time, but it’s hard not to think about the points thing when you are in our position.” Greth recently took the USAC/ARDC point lead, leap-frogging over Bright after a pair of top-ten finishes at Williams Grove on June 15 and 16. Heydenreich rebounded after his flip to finish fourth, the last car on the lead lap. A wild three-car battle for fifth ended with Shawn Jackson narrowly beating Jimmy Glenn and Jay Hartman to the stripe. USAC/ARDC heat race wins went to Greth and Bright. This was the final tune-up for the mighty Midgets (at Lanco’s Clyde Martin Memorial Speedway) before the Tuesday, August 15 event featuring the cars and stars of the USAC National Midget Championship. The second annual Battleground: Lanco event will pit Bright, Greth, and the rest of the local Midget competitors against the best of the midwest, including last year’s Battleground victor Tanner Thorson, who will once again pilot one of the potent Keith Kunz Midgets during PA Midget Week. Advance General Admission tickets for Battleground: Lanco are now on sale. They will be available at the track each Saturday, and mail order information is posted on the website: www.clydemartinspeedway.com. Advance tickets will enable the holder to enter the facility one hour prior to walk-up ticket buyers so that blankets can be put down to save seats. Advance ticket holders will also be permitted to go into the pits for approximately two hours before the action begins. The Hyper Racing Wingless 600 Sprints will join the USAC National Midgets on August 15. USAC Eastern Regional Midgets presented by ARDC: Star Spangeld Havoc A-Main, 30 Laps: 1.Alex Bright, 2.Ryan Greth, 3.Kenny Miller III, 4.Eric Heydenreich, 5.Shawn Jackson, 6.Jimmy Glenn, 7.Jay Hartman, 8.Reed Saloney, 9.Mark Lowrey, 10.John Heydenreich, 11.Kyle Spence, 12.Rohan Beasley, 13.Adam Pierson, 14.Josh Heckman, 15.Brandon Yarlett, 16.AJ Bast. Mechanicsburg, PA……..Brady Bacon of Broken Arrow, Okla. led all but the first lap to win riday night’s 20-lap USAC Eastern Regional Midget feature presented by ARDC at Williams Grove Speedway. He passed Tanner Carrick on lap two and led the rest of the way in his Brown & Miller Racing Solutions/Black Watch Farms Beast/Toyota. Carrick took second ahead of Tanner Thorson, Spencer Bayston and Ryan Robinson. **Meseraull flipped at the start of the finish. FEATURE LAP LEADERS: Lap 1 Carrick, Laps 2-20 Bacon. NEW USAC EASTERN REGIONAL MIDGET POINTS Presented by ARDC: 1-Greth-685, 2-A.Bright-671, 3-Jackson-559, 4-Miller-529, 5-Trevor Kobylarz-484, 6-B.Bright-462, 7-Pierson-461, 8-Tommu Kunsman Jr.-448, 9-Hartman-445, 10-Layser-433. Williams Grove, PA……..Spencer Bayston of Lebanon, Ind. led the final 16 laps to win Thursday night’s 20-lap USAC Regional Midget race presented by ARDC at Williams Grove Speedway. The race was part of the track’s USAC “Triple Crown Showdown.” Ryan Greth led the first four laps before yielding to Bayston’s Kunz/Curb-Agajanian Curb Records/TRD Bullet by Spike/Speedway Toyota. Brady Bacon finished second ahead of Ryan Robinson, Tanner Thorson and Tanner Carrick. **Rice flipped during the second heat. FEATURE LAP LEADERS: 1-4 Greth, Laps 5-20 Bayston. 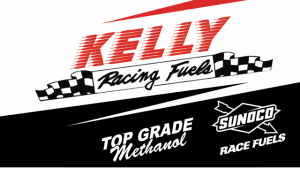 KRS GRAPHICS BRYAN CLAUSON BAD FAST PASSING POINT LEADER: Tommy Kunsman Jr.
NEW USAC EASTERN REGIONAL MIDGET POINTS Presented by ARDC: 1-A.Bright-602, 2-Greth-578, 3-Kobylarz-484, 4-Jackson-468, 5-Brenden Bright-462, 6-Kunsman-448, 7-Miller-443, 8-Pierson-404, 9-Jay Hartman-387, 10-Brett Arndt-360. York Haven, PA……..Ryan Greth of Newport, Pa. led all 20 laps to win Saturday night’s USAC/ARDC Eastern Midget race at Susquehanna Speedway. Series point leader Alex Bright finished second ahead of Brenden Bright, Brett Arndt and Tommy Kunsman Jr. FEATURE LAP LEADERS: 1-20 Greth. NEW USAC EASTERN REGIONAL MIDGET POINTS Presented by ARDC: 1-A.Bright-517, 2-Greth-463, 3-B.Bright-462, 4-Kobylarz-423, 5-Jackson-400, 6-Hartman-387, 7-Miller-377. 8-Arndt-360, 9-Kunsman-348, 10-Adam Pierson-323. Pottsville, PA……..Brenden Bright of Collegeville, Pa. led all 20 laps to win Friday night’s USAC Eastern Midget race presented by ARDC at Big Diamond Speedway. Trevor Kobylarz, Brett Arndt, Alex Bright and Ryan Greth trailed at the checkered flight. Alex Bright continues to lead the standings entering tonight’s race at Susquehanna Speedway in York Haven, Pa. FEATURE LAP LEADERS: Laps 1-20 B.Bright. NEW USAC EASTERN REGIONAL MIDGET STANDINGS presented by ARDC: 1-A.Bright-387, 2-Kobylarz-343, 3-B.Bright-335, 4-Greth-326, 5-Pierson-323, 6-Jackson-313, 7-Hartman-289, 8-Miller-273, 9-Heckman-259, 10-Arndt-235.